To read about the full assessment, please go to our recent blog entry to read the testimonial one of our clients recently composed. 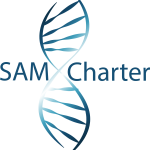 If you feel that a more detailed analysis is required of your SAM systems and framework, please email info@samcharter.com to gain further information on how one of our partners can help you. SAM Charter is keen to engage with SAM partner organisations to promote the use of the Maturity Assessment further afield. If you believe your organisation could make use of such a platform then please get in touch via: info@samcharter.com entitling your email “Further partner information”.